Representatives of civil society organizations in Africa have called on National Governments to urgently implement the Human Right to Water and Sanitation. Rising from a one day Civil Society Forum in Kigali, Rwanda as part of the on going Africa Sanitation and Hygiene Conference 3 (Africasan3), http://www.africasan3.com, the civil society organizations organized under platform of the African Civil Society Network for Water and Sanitation (ANEW) also called for a clear timetable and measureable targets for achieving expenditure of 0.5% of GDP on sanitation (as per the eThekwini Declaration); separate budget lines for sanitation spending in national budgets; and better targeting of resources towards countries with low sanitation coverage and a higher burden of sanitation related diseases. The right to water places certain responsibilities upon governments to ensure that people can enjoy “sufficient, safe, accessible and affordable water, without discrimination”. The 1979 Convention on the Elimination of Discrimination against Women (CEDAW) Article 14 (2) States: parties shall take all appropriate measures to eliminate discrimination against women in rural areas to ensure, on a basis of equality of men and women, that they participate in and benefit from rural development and, in particular shall ensure to women the right: … (h) To enjoy adequate living conditions, particularly in relation to housing, sanitation, electricity and water supply, transport and communications. An initial step towards political recognition of the right to water was taken in 2006 by the former United Nations Sub-commission on Human Rights which issued Guidelines .These guidelines led the United Nations Human Rights Council to mandate in 2008, Ms Catarina de Albuquerque, as an Independent expert on the issue of human rights obligations related to access to safe drinking water and sanitation. On July 28, 2010, the General Assembly of the United Nations in a landmark decision adopted a resolution calling on States and international organizations to provide financial resources, build capacity and transfer technology, particularly to developing countries, in scaling up efforts to provide safe, clean, accessible and affordable drinking water and sanitation for all. By a text on the human right to water and sanitation, the Assembly expressed deep concern that some 884 million people were without access to safe drinking water and more than 2.6 billion lacked access to basic sanitation. Bearing in mind the commitment to fully achieve the Millennium Development Goals, it expressed alarm that 1.5 million children under five years old died each year as a result of water- and sanitation-related diseases, acknowledging that safe, clean drinking water and sanitation were integral to the realization of all human rights. That resolution was supported by a vote of 122 in favour to none against, with 41 abstentions. Nigeria was one of the 122 countries that voted in favour of this resolution. On Thursday, 30 September, the UN Human Rights Council by consensus adopted a resolution affirming that water and sanitation are human rights. UN Human Rights Council – the main United Nations body dealing with human rights affirmed that the right to water and sanitation is contained in existing human rights treaties, and that States have the primary responsibility to ensure the full realization of this and all other basic human rights. While the General Assembly’s July resolution declared that safe and clean drinking water and sanitation is a human right essential to the full enjoyment of life and all other human rights, it did not specify that the right entailed legally binding obligations. The UN Human Rights Council’s resolution affirmed that water and sanitation are human rights, saying: “the human right to safe drinking water and sanitation is derived from the right to an adequate standard of living and inextricably related to the right to the highest attainable standard of physical and mental health, as well as the right to life and human dignity’. What is the implication of making the right to water and sanitation a human right- that is both justifiable and enforceable? What is the responsibility of Nigeria National and State government towards the implementation and full realization of this essential right? How does Nigerians stand to benefit from this development? The Constitution of the Federal Republic of Nigeria 1999 does not presently have any provision on the right for water, but the Society for Water and Sanitation, Lagos State chapter, a network of civil society groups working in the water and sanitation sector have launched an advocacy towards the implementation of the Right to water campaign in Nigeria. Coordinator of the campaign, Anthonia Mbaka said the advocacy campaign is “ to ensure that the Nigerian government strengthens the implementation of the right to water and make it fully enforceable in our national laws, as in other countries like South Africa and Uruguay to guarantee every Nigerian citizen, access to safe and affordable water towards meeting the Millennium Development Goal (MDG) 7, target 10. 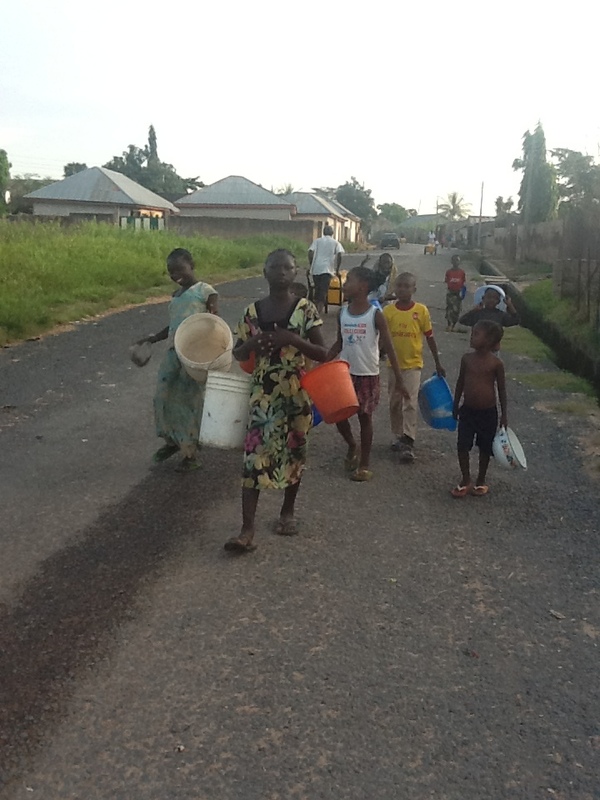 Several other Civil Societies Organisations (CSOs) promoting water and sanitation issues in Nigeria have been calling on the Federal Government to implement the UN resolution on water. Mr Hope Ogbeide, the Director of Society for Water and Public Protection, urges the Federal Government to commence the implementation of the UN resolution on the right to waterw by making tangible efforts to provide potable water and good sanitation facilities for Nigerians. Ogbeide proposes a daily provision of 30 litres of water free of charge for every Nigerian. He says that if that benchmark is achieved and sustained, Nigeria can progressively move from the provision of 30 litres to 50 litres of water per person — the minimum standard recommended by the UN for affluent countries. “For example, every South African citizen has access to 25 litres of water daily free of charge,’’ Ogbeide says. “The government should do something similar or decide how much to charge to ensure that every Nigerian, including the vulnerable ones, have access to safe water and good sanitation,’’ he adds. Sharing similar sentiments, Mr Leo Atakpu, the National Coordinator of Society for Water and Sanitation (NEWSAN), urges the Federal Government to enforce the UN resolution in the country. He stresses that it will be a good starting point if Nigeria is able to provide 30 litres of water for a citizen each day since the dearth of water also affects sanitation. Atakpu notes that human rights activists across the world, including those in Nigeria, celebrated the passage of the UN resolution on the people’s right to safe water and good sanitation. “We are happy that Nigeria is a signatory to the resolution; we are going to engage in policy advocacy on the need for Nigeria to domesticate the right to water and sanitation,’’ he says. “As I’m speaking to you, Nigeria is far from meeting the targets of the MDGs in the water and sanitation sector; implementing the resolution here in Nigeria will fast-track our efforts to meet the MDGs targets by 2015,’’ Atakpu adds. On her part, Mrs Ada Oko-Williams, WaterAid’s Head of West Africa Regional Learning Centre on Sanitation, also urges the Federal Government to promote and implement the UN resolution on people’s right to safe water. She urges the CSOs to create appreciable public awareness on the need to promote water as a social right which should be respected. “The Federal Government, in collaboration with state and local governments, should provide adequate water for the citizens. “I think the provision of safe water and basic sanitation should come first. Later, we can work on how to improve the situation and meet the UN standard on the amount of drinking water that should be provided for each citizen daily,’’ she adds. However, Rev. Fr. Rapheal Aborisade, the Coordinator of Justice and Peace Commission, urges the Federal Government to repair derelict water facilities across the country, as part as part of its efforts to implement the UN resolution. Aborisade argues that the large number of broken-down water facilities across the country has hindered effective water supply to the people. He says that the development has also been militating against the country’s desire to meet the MDGs targets on water and sanitation by 2015. 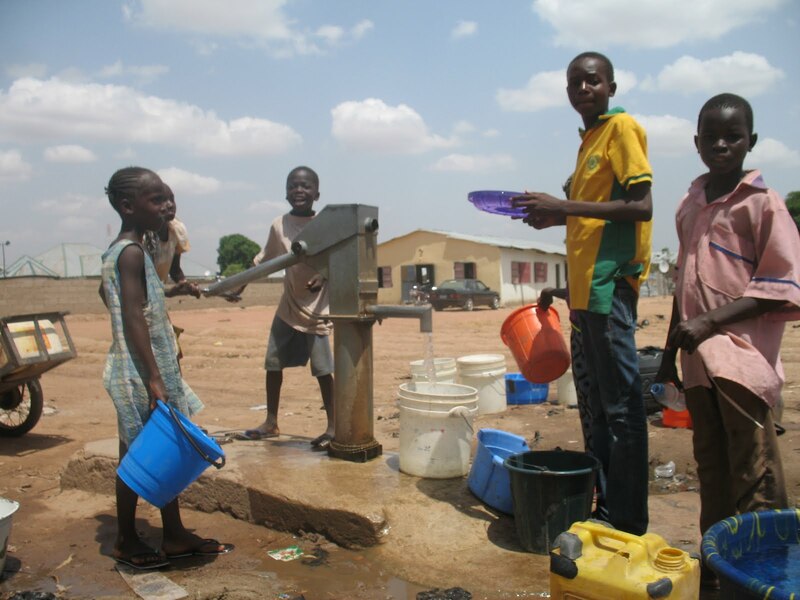 All the arguments notwithstanding, analysts insist that Nigeria’s ability to implement the resolution largely depends on the commitment of the three tiers of government toward providing safe water and good sanitation for the citizenry. The governments should develop and adopt a comprehensive approach that covers all the critical components of the water and sanitation sector, while initiating specific programmes of action, they add.